It’s about that time of year when many of us consider hitting the (hopefully) freshly-powdered slopes of the world’s alpine regions to engage in some snow-based sportsmanship. Yet a switch to mountainous surrounds and the unforgiving winds/sub-zero temperatures it brings with it can see usually well dressed men abandon their wardrobe ideals – instead reaching for those alluringly comfortable zip-fleeces and sweats. Après-ski culture provides a host of fresh opportunities to break out the winter woollens and cold-weather tailoring, just when the rest of the populace are clearing space in their closet for spring apparel. In this piece, we look at what this season has to offer for gents on snow-bound jaunts, from the Alps to Aspen. Whether lounging by the chalet log fire or sipping on a vin chaud at the local bistro, woollens will be your staple uniform. To cope with the inevitable chill in the air, cable and chunky gauge knits with generous wool content are the most astute choice. These complex woven designs trap air particles within their intricately woven yarns, which provide an increased level of insulation compared to finer gauge knits. Traditional Aran and fisherman versions are particularly warming, while Nordic style knits are both practical and style-appropriate for après-ski. For evening wear, merino knits and roll necks can be layered over a printed shirt and teamed with a casual wool sports blazer for a sharper look at the dinner table. Tackling blizzards and icy winds is an unfortunate inevitability of many winter sport expeditions, so a dependable cover-up to ward off the worst of the mountain elements is essential. Luckily, help is at hand with an array of winter-worthy technical pieces and wool-rich outerwear that provide superb insulation while ticking all the right boxes on the style check list. 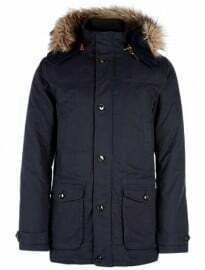 A down-feather parka, such as the Citadel jacket from Canada Goose or the Arctic Parka from Woolrich, should be your first line of defence against the chill. Filled with densely-packed goose feathers that lock in warm air molecules, these Arctic-ready designs feature a coyote-trim on the hood, which forms an insulating barrier of air around the neckline, alongside large hand-warmer pockets to keep your fingers frost-free. Down-filled puffas and gilets, available from brands like Uniqlo, offer a sporty and lightweight alternative if you’re doing a spot of spring skiing. Hunting jackets in buffalo plaids provide a smarter, rugged option for casual evenings spent sampling raclette or fondue and the robust woven wool construction will ensure you’re kept warm, whatever the weather decides to throw at you. Hybrid styles that can transcend from the slope to après-ski drinks are a practical option and will help save you from the burden of a hefty suitcase – particularly important when you’re carting your cumbersome skis/board through a hectic airport terminal. Once you’ve pulled off your trusty salopettes, what are your options for après-ski legwear? Sporty wool and cotton-jersey styles are central to alpine dressing, providing both warmth and comfort after a hard day on the slopes. A myriad of brands such as Moncler, Topman and Vans offer luxe takes on sweat pants, which are perfect for lounging around your chalet. Smarter, tailored trousers are ideal for pairing with chunky knits and sturdy boots when out in the evening, while pleated versions make a fresh alternative to ubiquitous skinny-fit styles and score extra points for comfort. Corduroy has the benefit of retaining warmth while being exceptionally comfortable against the skin, making it a superb addition to an après-ski wardrobe. For spring skiing when temperatures are slightly kinder, heavyweight denim and chinos can be considered. When the ground underfoot is carpeted in layers of snow and ice, the boot prevails as the most appropriate footwear option. The polar explorer trend has been a recurring theme in winter menswear collections for several seasons and this practical, masculine style has heavily influenced footwear styles. Hiking and sturdy-soled designs currently dominate cold-weather looks and are the perfect choice for après-ski occasions. Opting for hand-made styles with Goodyear welted soles is an astute move. The Goodyear technique, developed by American inventor Charles Goodyear, involves using reinforced stitching that enhances a shoe’s durability and waterproof qualities. Picking out a pair of these will ensure your boots provide the best support and will see you through many a snow-bound saunter to come. Italian label Fracap and Red Wing are the leading names within Goodyear welted hiking boots, while Northampton-based English brands such as Grenson, Crockett & Jones and Joseph Cheaney & Sons offer more traditional styles. Specialist moon boot silhouettes have also been revisited in recent years with designers reworking this retro style in clever hybrid guises. Sorrel and Moncler, in particular, offer superb designs that will keep your toes toasty in sub-zero climes, as well as excellent traction in challenging conditions. No après-ski adventure would be complete without the necessary head wear to cope with the chilly evening air in alpine regions. It is popularly believed that as much as 50 per cent of your body heat is lost through the top of your head, making woollen, cashmere and trapper hats an assured choice. 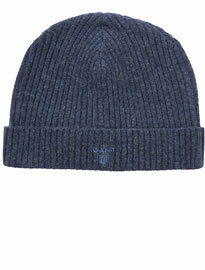 Brands from the high street to high-end offer an endless range of headgear suited for tackling Arctic climes. A good quality scarf is also indispensable and, with checks at the heart of many menswear collections, a lambswool plaid scarf will serve the dual purpose of trapping warmth while adding a welcome patterned punch. Gloves, essential both on and off slope, should ideally be down-filled or fur-lined to cope with the extreme cold in mountainous regions. Specialist ski brands such as Kjus and Arc’teryx offer stylish, sporty options that can be worn from slope to bar, while traditional glove makers such as Dents and Sage Brown offer rabbit fur-lined calfskin styles that provide a dressier option for the evening. Après-ski dressing is as much about mastering the challenging elements as it is about crafting a sporty, stylish and practical look. With sportswear such a significant influence on modern menswear design, it isn’t difficult to put together an appropriate outfit by astutely recycling your on-the-slope gear – mixing it with smarter pieces and winter knits when off the slopes. So, whether you choose to combine a Fair Isle knit with a down-filled jacket, or a fur-lined parka with your moon boots, keeping up appearances doesn’t have to be such a momentous task if you work intelligently with what you’ve got in your suitcase.